If you could sum up The Sittaford Mystery in three words, what would they be? A good story but I feel that without the snowstorm it wouldn't have been as enjoyable. Can't think of another story, but whatever it is it must have snow in it. What about Hugh Fraser’s performance did you like? 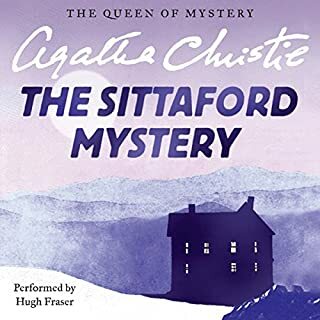 I've listened to many of Hugh Fraser's peformance and in The Sittaford Mystery he continues to be excellent. A snowy day in Sittaford town.